Pro Stainless is proud to announce a 2-year agreement to extend our 30+ year Just In Time (JIT) stocking program relationship with a major bio-med company. Our long term working relationship with this bio-med company is a testament to our commitment to customer service and loyalty, and we are honored to continue to serve them. For over 35 years, Pro Stainless has remained a solid presence in the fastener distribution industry. We remain steadfast in our efforts to maintain long-term working relationships with partners on a local as well as global scale. Our dedication to making their work easier and more efficient by providing the products and services they need to be successful is our number one priority. Just In Time allows our customers to have inventory on hand all of the time, eliminating downtime and the hassle and expense of having to scramble to ship in missing parts. For added convenience, JIT is available in real time through our state-of-the art iPhone ™ entry ordering system. Orders can be filled in our warehouse within a matter of minutes, instilling the reliability and confidence that our customers will have the parts they need, when they need it. Pro Stainless is a leading industrial fastener supplier with over 18,000 line items stocked. 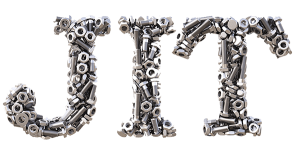 During the 36 years we have been in business, we have worked with clients to provide additional related services that go beyond what typical fastener distribution offers. Our Kitting program and a Just In Time stocking program provide additional benefits and cost savings to our customers. For information on how we can help you with your fastener distribution needs, call our experienced and professional sales team at 408-437-0600.